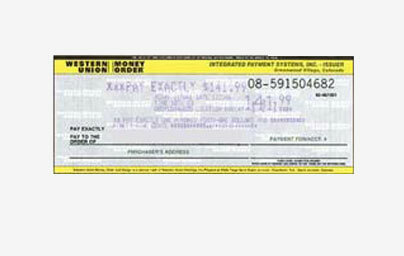 A Money Order is a type of payment instruments such as official checks that banks issue. Money orders provide a convenient and secure way to pay bills. We offer our valuable customers free money orders up to $500.00 per check, also Raleigh Check Cashing owner money orders for low fees if the customers cash it back. How to get a Money Order in Raleigh? We can help, click here for information.